If you have experienced water intrusion from the roof or plumbing in your property and have left it untreated, then there’s a high chance that mold is festering somewhere. Mold can spread throughout your home or business in as little as 48 hours and you may not even know it’s there! Not treating the mold immediately can cause allergy-like symptoms and many other health risks. 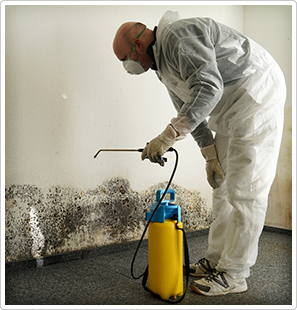 If you suspect signs of mold, you should seek the help of our mold remediation specialists as soon as possible. Our professionals use advanced mold remediation techniques and equipment to provide you with top-notch service. We make it our mission to respond quickly on the matter to eliminate the probability of further damages on your home. Experience and knowledge is required to identify and address the mold issues at hand. You can guarantee that our team will provide a thorough explanation of what is going on in your property and what the necessary steps will be to achieve a healthy dwelling.